Travelling via train is something we often do as a family. It is so hassle-free compared to travelling by car. There's no stressing over directions, parking or traffic and a day out or short break can begin for everyone the second you step on the train. We've been the proud owner of a Friends and Family Railcard for the past 6 years now and we have saved SO much money over the years. 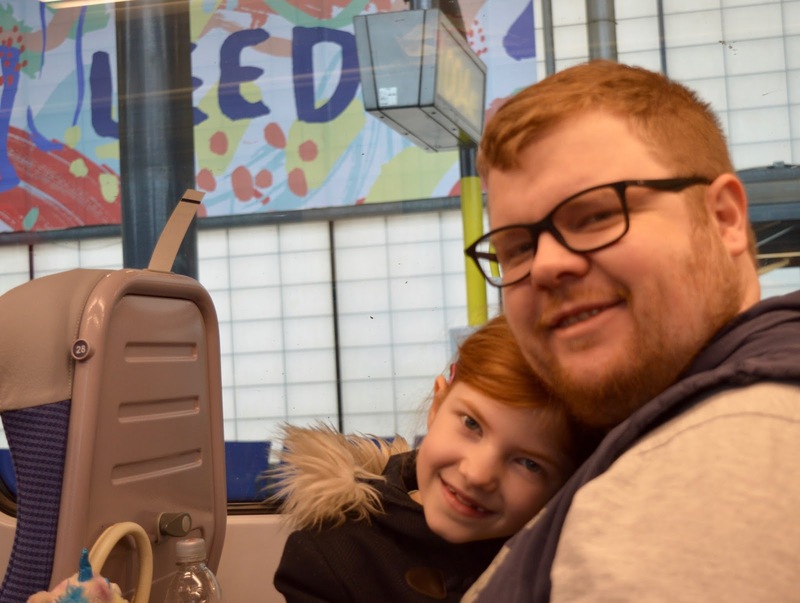 From a big family trip with grandparents to Drayton Manor to day trips to London and a day out by train in Carlisle, there are lots of places you can visit by train and we already have a few ideas for trips this summer. 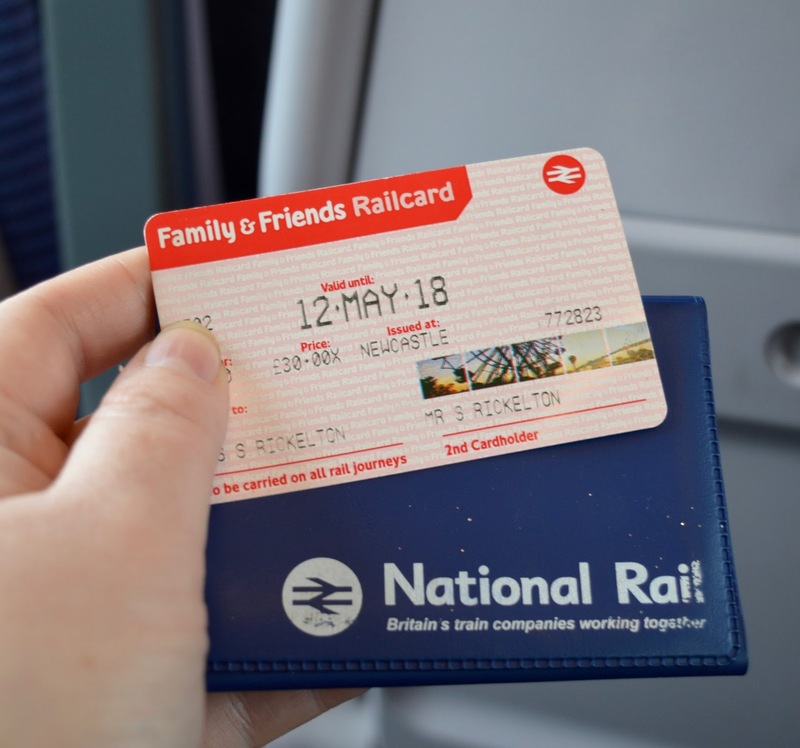 A Friends and Family Railcard costs just £30 per year and saves 1/3 off most adult rail fares, 60% off most child rail fares and can be used for up to 4 adults and 4 children travelling together. I predict we have saved hundreds of pounds in rail travel over the years. 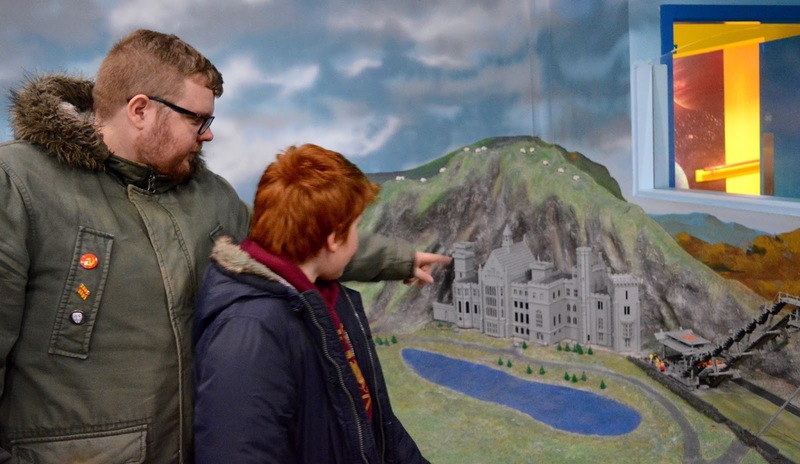 What I wasn't aware of is that there are further savings to be made on days out and if you travel by train, you can gain 2 for 1 entry to hundreds of top attractions up and down the UK over the years. Who knew? There are hundreds of attractions offering 2 for 1 days out when you travel by train. From The London Eye, London Zoo and the Tower of London in the capital to the Sealife Centre, Blackpool Tower and even Cadbury World. 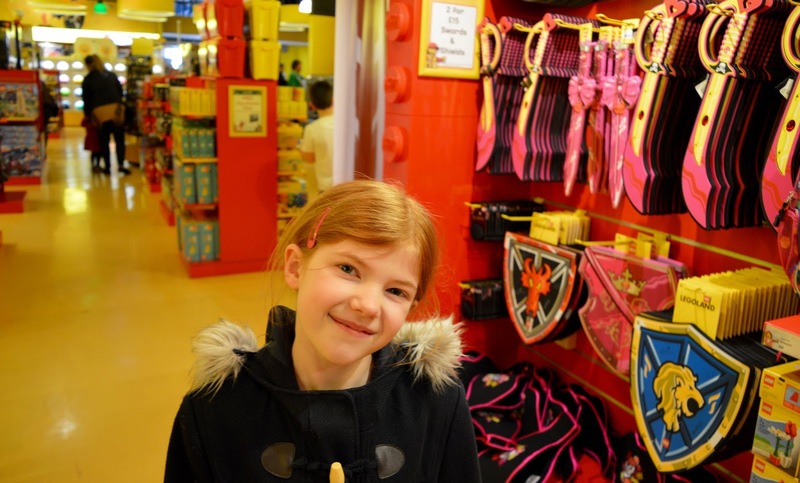 Theme Parks such as Thorpe Park, Legoland and Chessington World of Adventures are included too. 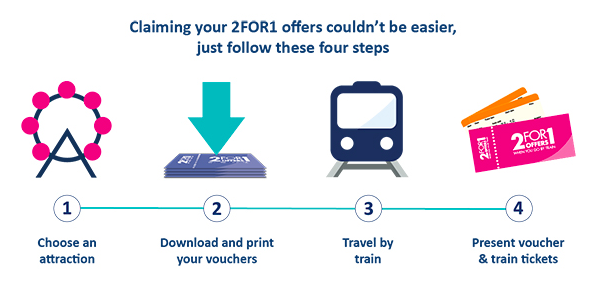 National Rail invited us to visit one of the attractions listed on their Days Out Website and try out using a 2 for 1 voucher for ourselves. After much deliberation, we decided to pay Legoland Discovery a visit as it's somewhere we've always fancied but never got around to visiting. Downloading your 2 for 1 voucher via the Days Out website really could not be easier. The 2 for 1 offer applies to adult prices only so I bought a ticket and Harry entered for free and then Steve bought a ticket and Heidi entered for free - you wouldn't be able to use this offer for two child tickets if that makes sense. There's a pretty comprehensive FAQ section here if you're unsure. We travelled to Manchester Picadilly via train from our hometown of Cramlington with a quick change at Newcastle and York. There are regular direct trains from Newcastle if you're not keen on changing. The total journey time was just under 3 hours and we arrived in Manchester at around 11am. We grabbed a quick bite to eat at the station before heading to the Trafford Centre where Legoland Discovery is based. There is a direct bus (X50) which you can catch from Picadilly Gardens for around £10 per family or like us, you can order an Uber direct from the Station which will take around half of the time and set you back around £12. 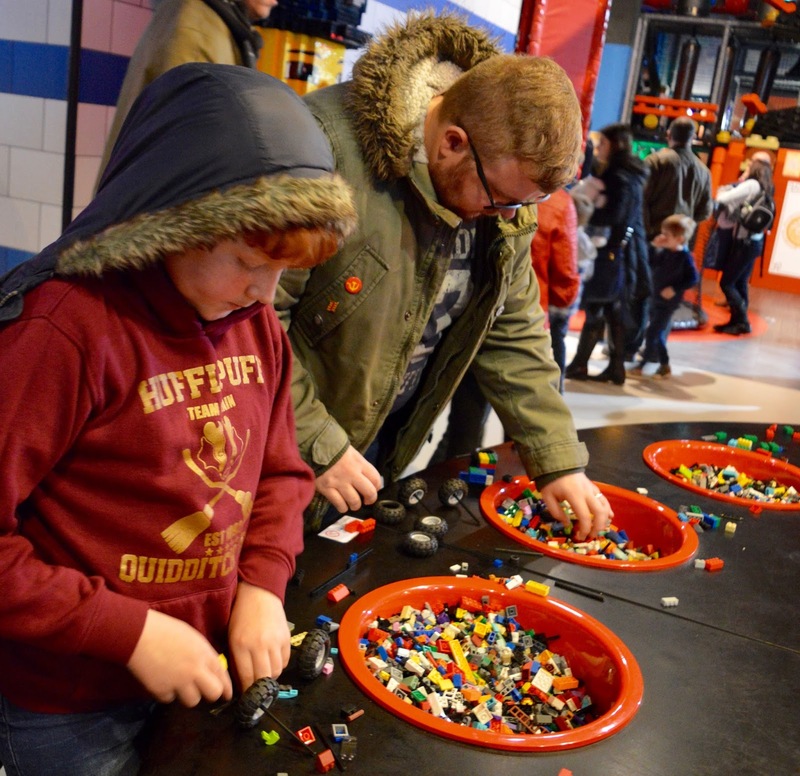 We visited Legoland Discovery on a cold, wet and rather miserable Saturday so I was expecting it to be super busy. In all honesty, I really didn't find it too bad. We visited with Heidi (8) and Harry (11). Unfortunately, Jack had to stay at home as he'd injured his foot and had taken 3 days off school with no sign of recovery any time soon (although he seemed to make a miraculous recovery over the weekend at grannie's house). 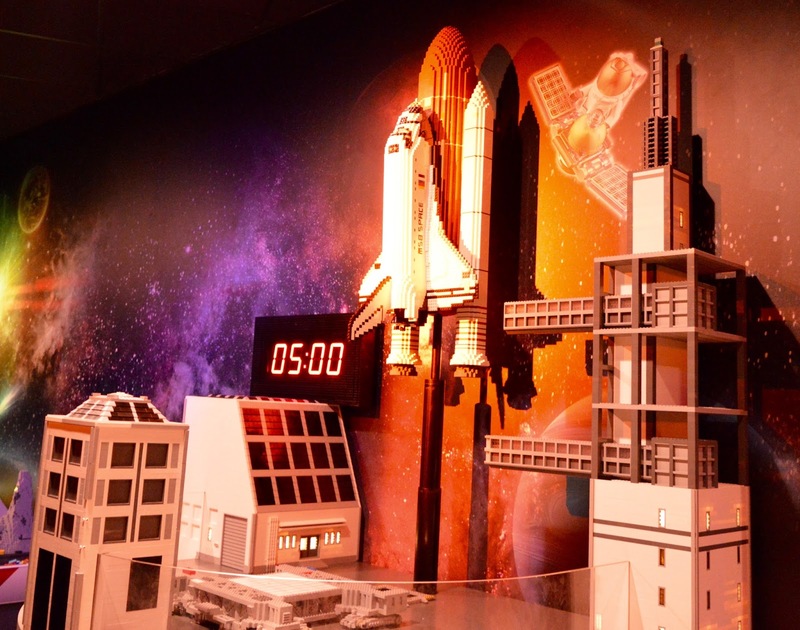 I know Jack would absolutely adore Legoland Discovery as he's a huge Lego fan but I think this just gives us more reason to return. Entry to Legoland Discovery set us back £38 for the four of us using our 2 for 1 vouchers, which is the same price as a Saturday trip to the cinema for us. We spent around 3 hours exploring the centre but probably could have stayed longer, especially if Jack was with us. We all really enjoyed our day. 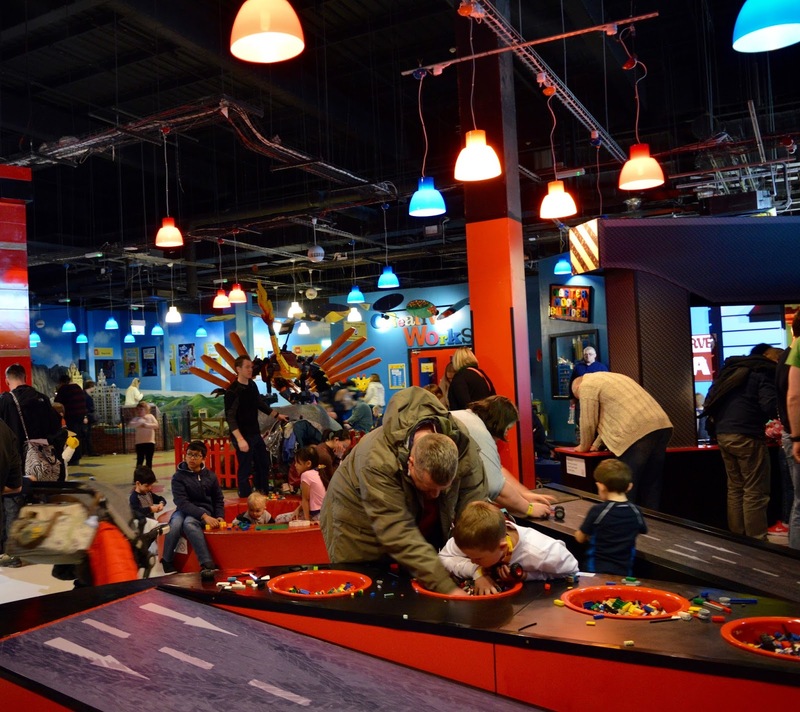 I'd read lots of mixed reviews beforehand with many people saying Legoland Discovery was not worth the money, however, I think when you compare it to a morning at the cinema, it most definitely is. Harry and Heidi both had fun but I think the prime time to visit Legoland would be when your children are aged 3-8 years. 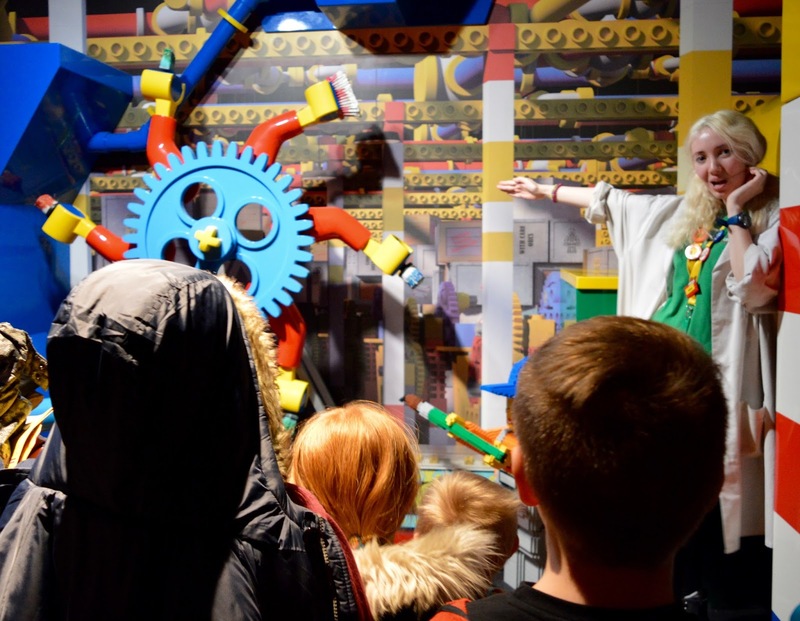 Kingdom Quest is the main ride at Legoland Discovery - you'll join the queue right after your mini factory tour. We queued for around 30 minutes at midday on a Saturday which we didn't think was too bad. Legoland Discovery is all indoors and there were plenty of Lego boards attached to the queue walls to keep the kids entertained. Up to 5 people can sit in one cart and everyone is given their own laser gun which they must use to shoot various Lego figures around the ride. Your points are displayed on your seat and it does get rather competitive (I'm proud to say I won - a top tip is to shoot the smaller enemies as you can get more of them in the time provided). This ride sounds scary but it's honestly fine - even babies were having fun. It's a nice ride to involve the whole family. 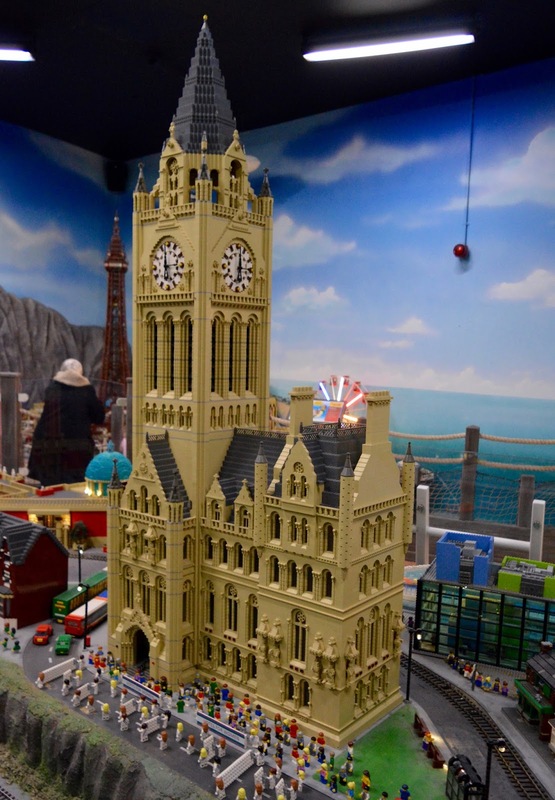 MiniLand is the area where you'll see lots of stunning Lego models, many of them moving with fantastic detail. We loved a replication of the Oblivion rollercoaster that actually moves too. 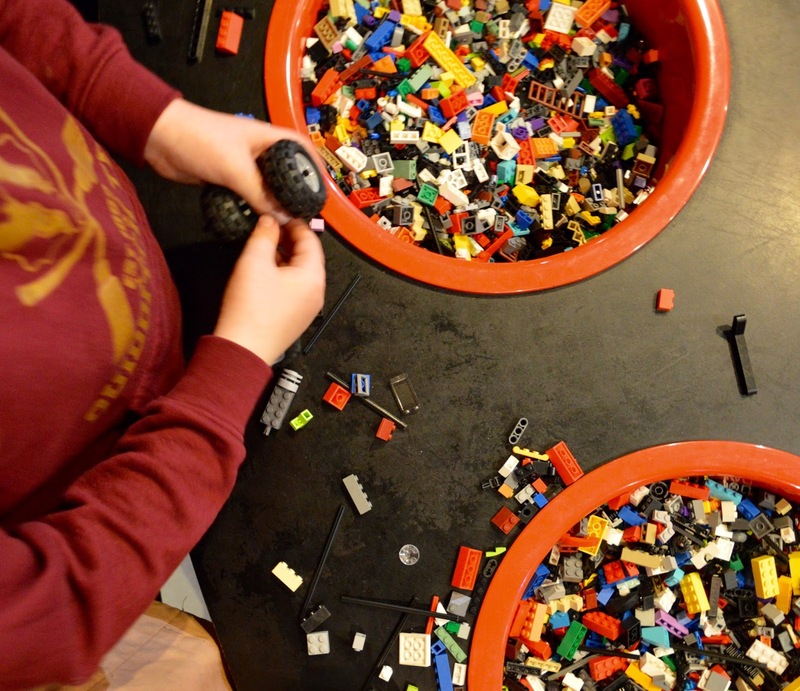 There are buttons to press, noises to hear and Lego figures to spot as you walk around and over 1.5 million bricks have been used in this area alone. This is an area of Legoland which we could all get involved with and was fantastic fun for older kids (and grown-ups). 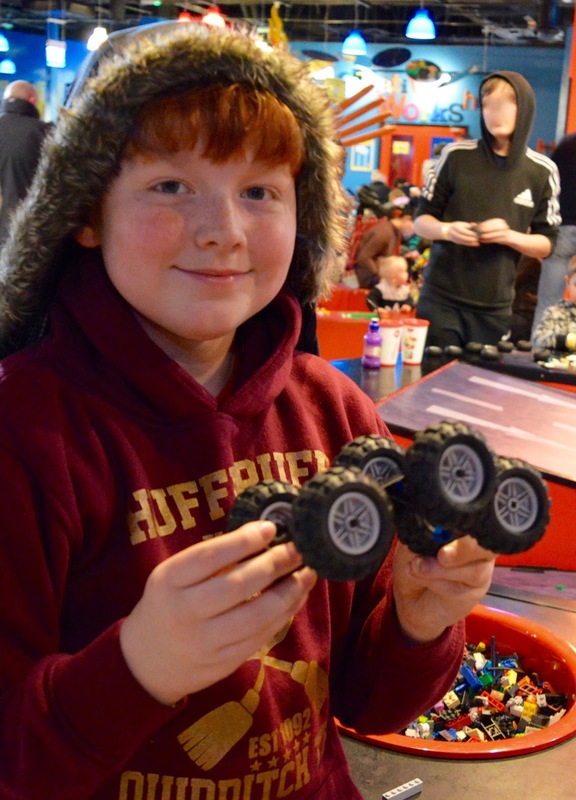 Using the bricks and wheels provided, you are challenged to build a vehicle that can withstand some pretty rigorous testing. It was lots of fun racing our Lego cars down the various ramps and there were plenty of bricks to go around too. 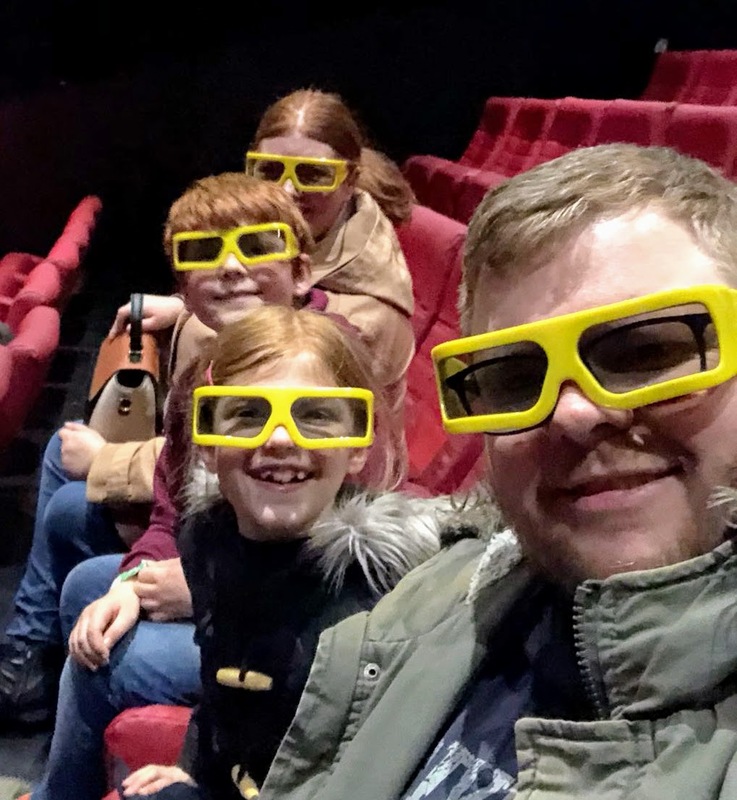 I had heard reports that the Lego 4D cinema was liable to breaking or not working properly but we were in luck as it worked perfectly for us. The short film is a typical Lego style with lots of dry humour for both kids and adults. I loved that the whole movie was based on 'Brickworld' which was clearly a rip-off version of Legoland. The film had the audience chuckling away and was very funny indeed. Harry and Heidi were tall enough to go on this alone (I think it was 1.2 metres but don't quote me on that). The queue was fairly long (about 30 minutes) and the ride involves teams of two flying around and helping Merlin with his sorcery. The ride was over pretty quick and Harry and Heidi both said it wasn't worth the wait BUT they did say if they were able to go on it without a long queue, they'd have enjoyed it a lot more. 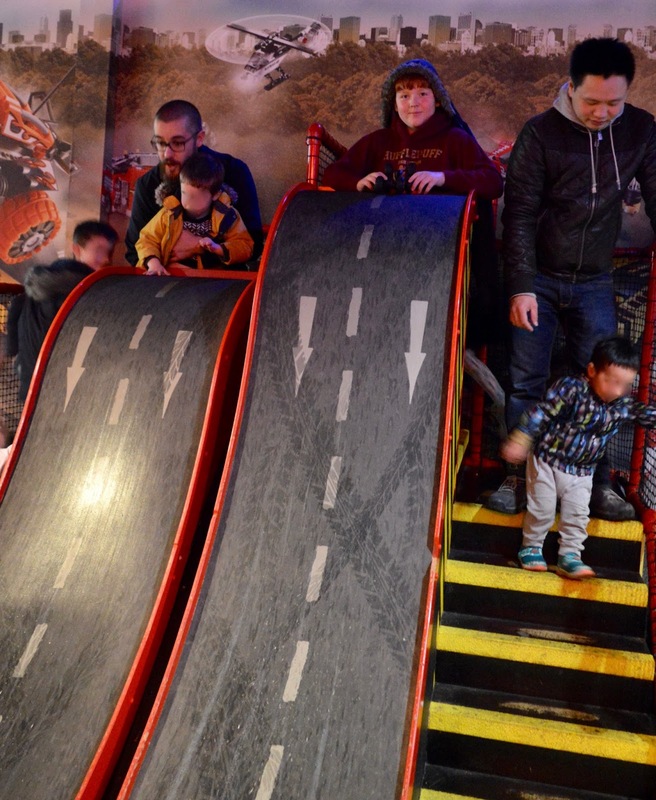 We'd therefore recommend this ride at the end of the day when the queues are smaller. There's a Lego Costa in Legoland! 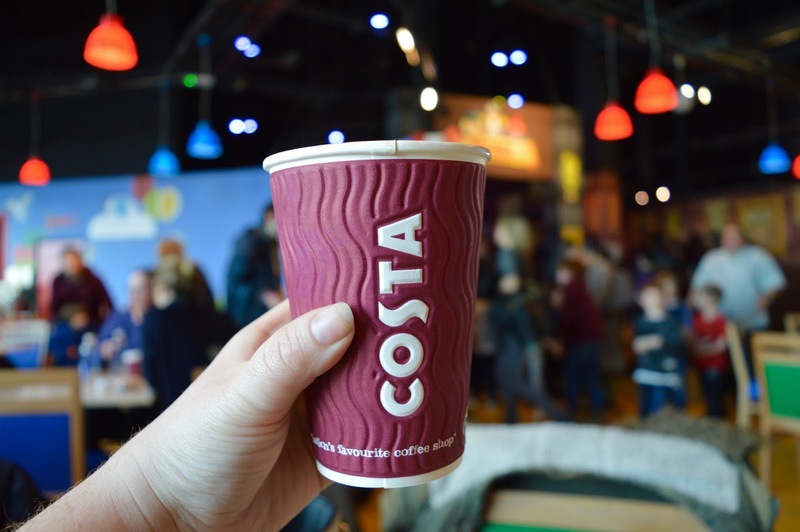 Steve and I enjoyed our caffeine fix whilst H and H ran off and played in the Ninjago play area and tested their reaction times with the Ninjago reaction tester. The Ninjago play area was a lot smaller than I expected so the kids didn't spend too long in here, they preferred the other sections if I'm honest. They loved the reaction tester though and were playing long enough for Steve and I to finish our coffees. 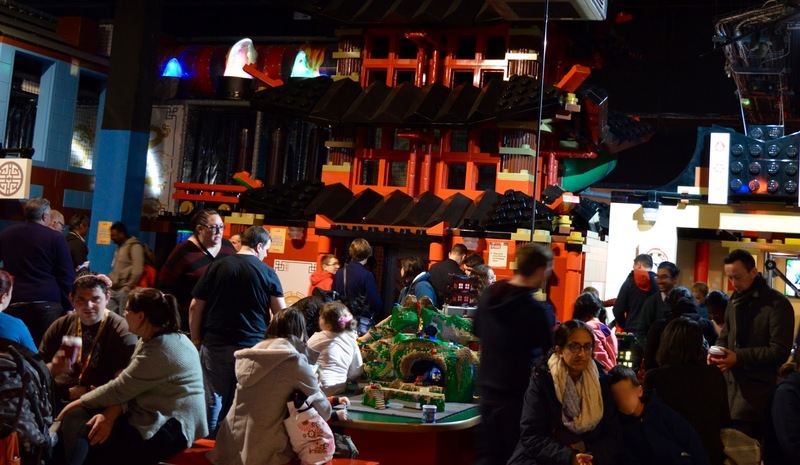 The Ninjago play area is on the opposite side of the room to the coffee shop so if you have younger children, they will need to be supervised and your coffee will have to wait a while! There is a very small Duplo soft play area next to the coffee shop though if you have younger children with you and need a break. 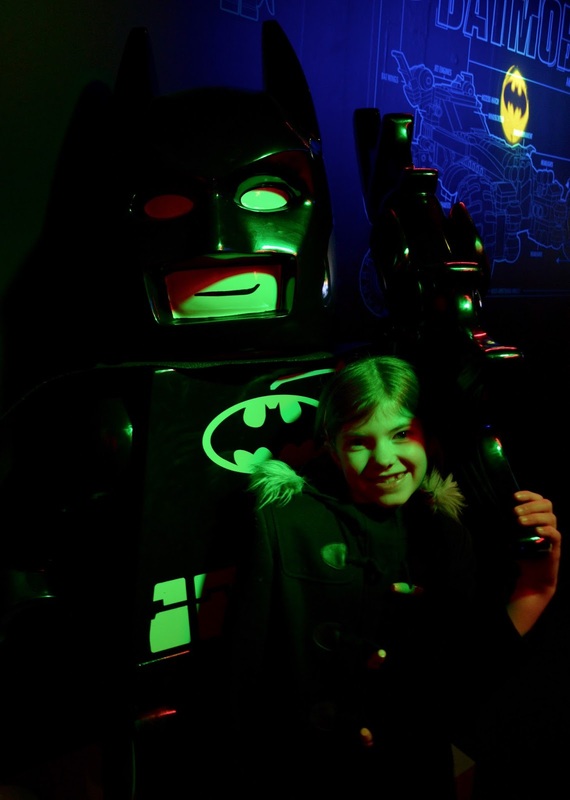 We are huge Batman fans so were super excited to see a real Bat Cave towards the end of Legoland Discovery. 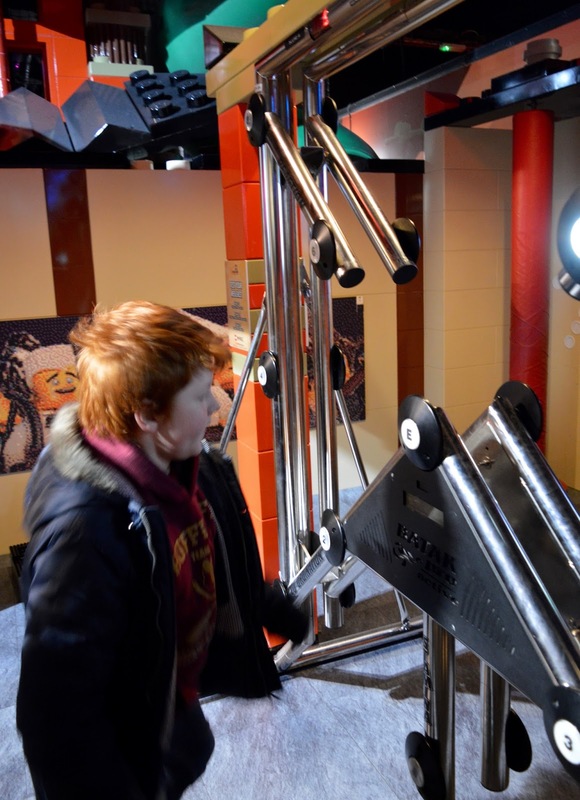 The kids loved avoiding the laser beams as they walked through and we were greeted by a real-life Lego man at the end. Not an obvious highlight but I have to say I was actually impressed. I expected a lot of items to be overpriced so was pleased to see a Price Match sign where Lego will match their competitors. There's a very good sale section and lots of pocket money toys too including various Legoland keyrings for £4 (we bought a Rocket Racoon one for Jack) and the chance to build your very own Lego figure for £2.50 or £6 for three. This was a fab way to end our visit and keepsake for the day without breaking the bank. There are also a few smaller rides and play areas which we didn't explore and a brand new Space section coming this Easter. 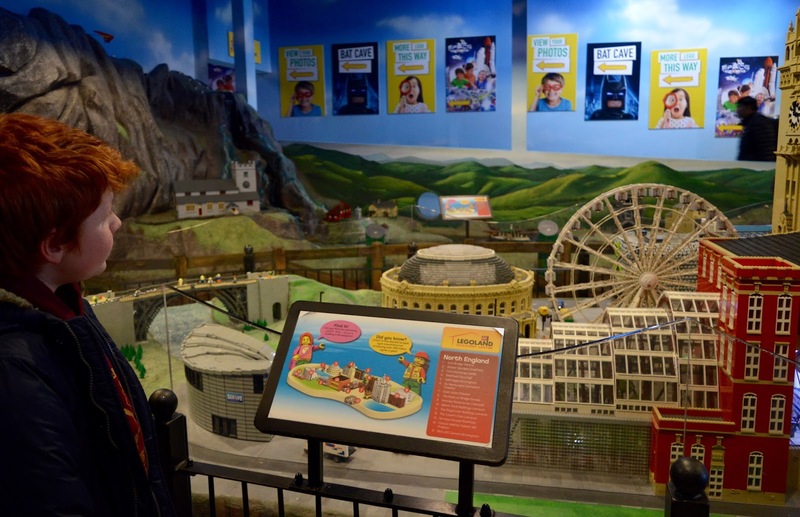 You can find out more about the various attractions at Legoland Discovery here. 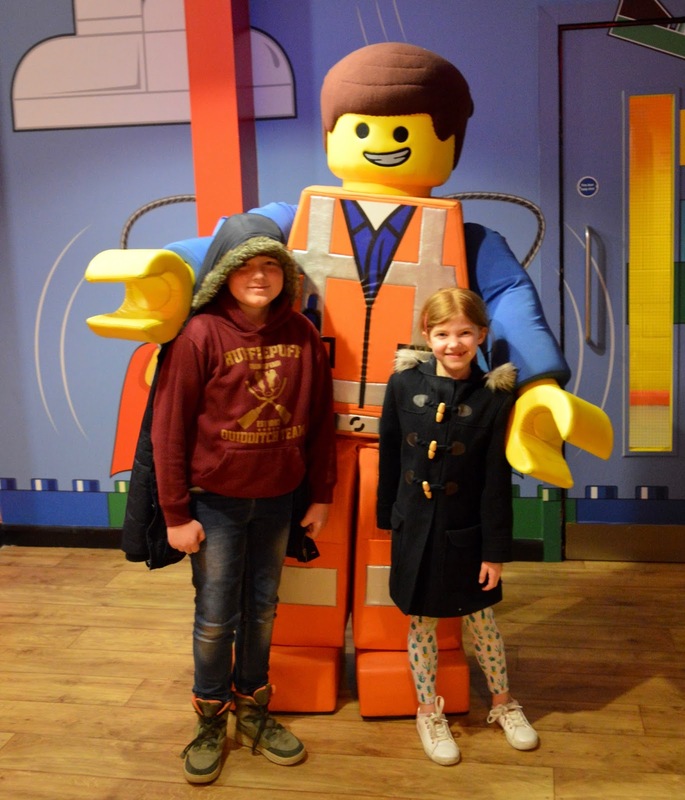 We really enjoyed our trip to Legoland Discovery. I honestly think it's all about perspective. I had pretty low expectations but it was a place I really wanted to visit for myself and make my own mind up. For £38 for the 4 of us using the 2 for 1 voucher, it offered us very good value for money and was a nice place to visit on a rainy afternoon in Manchester. It was the same price, took the same length of time and offered a similar level enjoyment as a family trip to the cinema. 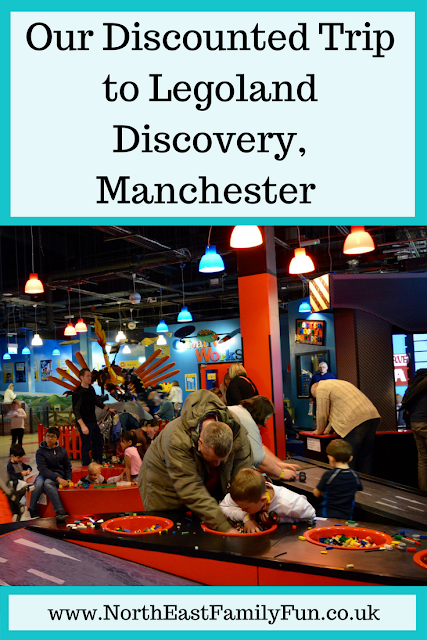 One thing I will say is that I didn't realise that Sea Life Manchester was next door to Legoland Discovery (and Sea Life is also an attraction you can use a 2 for 1 voucher for if you travel by train). I think if I was to visit Legoland Discovery again, I'd make the most of the trip and visit Sea Life Manchester next door straight afterwards. 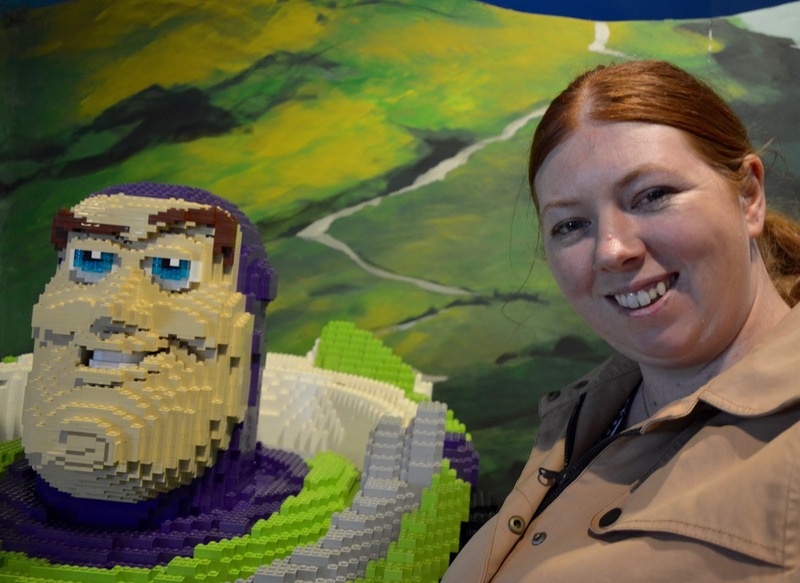 Let me know if you fancy a 2 for 1 day out by train or if you're a fan of Legoland Discovery. I'd love to hear if you have any other recommendations for family days out by train too. We're thinking of visiting York Railway Museum and either Leeds or Liverpool in the summer. Thank you for posting I think it looks great for my 4 and 8 yo definitely worth a trip!